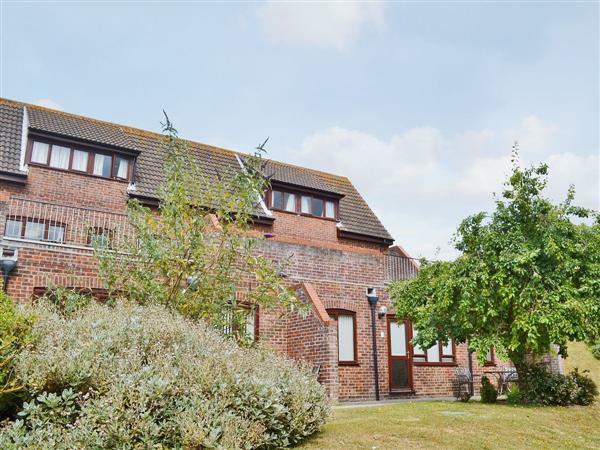 Villa 75 in Cromer sleeps 5 people. 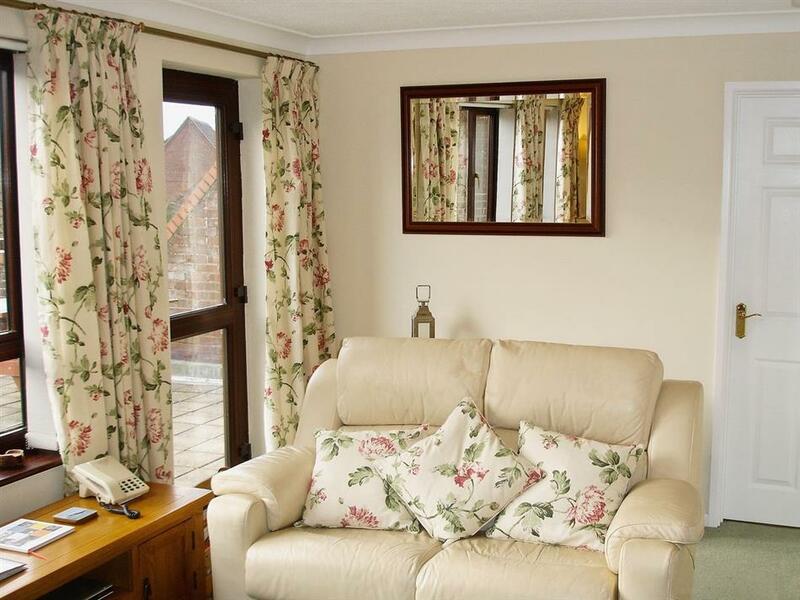 Villa 75 in Cromer is a privately owned villa situated on the Cromer Country Club leisure resort. Adjacent to the Royal Cromer Golf Club, amongst wooded grounds with panoramic views, Villa 75 in Cromer is set 250 yards from the cliff top and enjoying a prime position within the resort. Villa 75 is close to the town’s famous lighthouse and there are excellent cliff top walks nearby with a stepped path leading down to the coast. Guests have shared use of the on-site facilities (accessed by steps or a slope), including an indoor heated swimming pool, spa bath, sauna, steam room, laundry room, soft children’s play area, snooker table and badminton. A bar/restaurant for dining in or take-away is available all year. There is an extensive daily entertainment programme including many children’s activities. Villa 75 is comfortably furnished throughout to offer a great base from which to explore and has its own balcony with a sitting-out area. Within 1 mile is the popular Victorian traditional seaside resort of Cromer with wide sandy beach, traditional promenade, famous pier with end of pier show, cinema, shops, cafés and Amazonia Zoo. Also close by lies an 18-hole cliff top golf course. Just along the coast lies the bustling market town of Sheringham with its shingle beach, The Muckleburgh Military Collection and Sheringham Park with over 1000 acres of National Trust parkland. RSPB nature and bird reserves are found at Cley, Blakeney and Morston. For children there is Banham Zoo, Wroxham Barns and Craft Centre, and Dinosaur Adventure Park at Lenwade. For steam enthusiasts there are the North Norfolk Steam Railway, Poppy Line Steam Railway, Bure Valley narrow gauge railway and Thursford Steam Museum nearby, which hosts the famous Christmas Spectacular. Whether you enjoy all the facilities on site or venture out, you really will be spoilt for choice. The beach is 100 yards, and the shop is 400 yards from Villa 75. The restaurant/bar are both on-site. Ground floor: Living room with dining area and patio doors/kitchen. Single bedroom. Bathroom with shower over bath and toilet. First floor: 2 double bedrooms, both with additional single (for alternative sleeping) and sloping ceilings. Shower room with toilet, Velux and sloping ceiling. Electric heaters, electricity, bed linen and towels included. Freeview TV. Electric cooker. Microwave. Shared laundry room with coin-operated washing machine and tumble dryer. Dishwasher. Wi-Fi at cost. Balcony. Parking (1 car). Shared indoor swimming pool (min depth 0.6m, max depth 2.4m) with changing and shower facilities. Shared hot tub. Welcome pack. No smoking. Holidays at Villa 75 in Cromer run from Holidays run from Friday to Friday. NB: Steps and slopes in grounds. For a better idea of where Villa 75 is, you can see Villa 75 on the map below. Villa 75 is in Norfolk; should you be on the lookout for a special offer, you can find all the special offers in Norfolk. It's always worth checking to see what is on offer at the moment. Do you want to holiday near Villa 75 (30036), you can see other cottages within 25 miles of Villa 75; have a look to find your perfect holiday location.